Cisco tries to blank Barry’s ability to create new memories so Savitar won’t know what they’re planning. Instead, he just blanks Barry’s memory turning him into the lovable and lighthearted Bart. After Killer Frost discovers Savitar’s memory loss she reluctantly teams up with Cisco and Julian to fix Barry’s memory, just in time to save a building from Firemonger. The gang pleads with Frost to stay and she shuts them down, but it appears they did get to her. 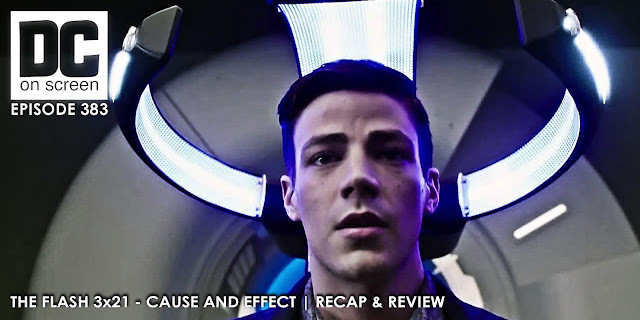 There’s also a very long explanation from Future Barry about time loops, time remnants, temporal duplicates, flashpoint consequences, and broken families.